Forget about that diet while you're with us. Eat to your satisfaction with our abundant and luxurious Kaiseki Ryori, Japanese banquet style meals.This is when guests have "turned into a sea lion after one night", meaning that they feel as full and relaxed as content sea lion basking in the sun after a good meal. 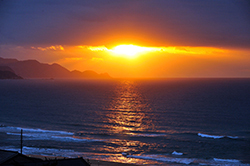 We're situated north of the ancient capital Kyoto on the coastal shores of Yuhigaura, a place chosen as one of 100 places in Japan to see the most beautiful sunsets. 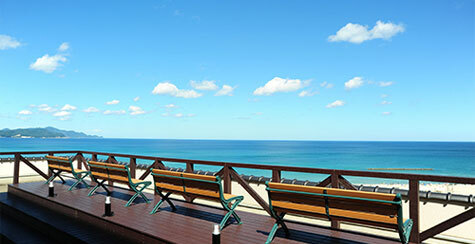 You can see the deep azure color of the beautiful Sea of Japan from all of our rooms. 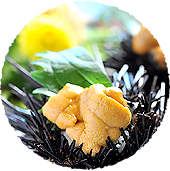 Being able to provide all of our guests with ocean view rooms, access to the beautifying hot spring waters of the famous Yuhigaura Hot Springs, and generous meals with luxurious dishes gives us good reason to boast. 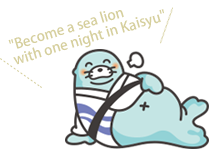 When you relax in your room after a filling meal and soak in our hot springs you will experience the fashion and hospitality of Kaisyu. 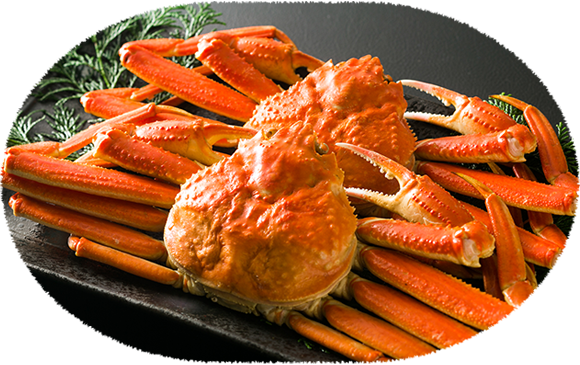 You won't believe your eyes at the amount of crab dishes as they appear one by one. Also, we take advantage of being in an area blessed with abundant fishery where fresh seasonal seafood is caught right from the local sea area. 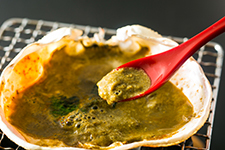 This lets us create delectable and fresh seafood dishes year round for our guests. 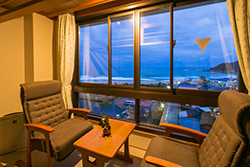 As seen from the guest rooms, the white sandy beaches of Yuhigaura coast stretches 8km long and is a popular beach destination. Enjoy spectacular views from the tranquility of your traditional Japanese style room. In addition, you can also go to the observation deck on the roof to look out onto the Sea of Japan. 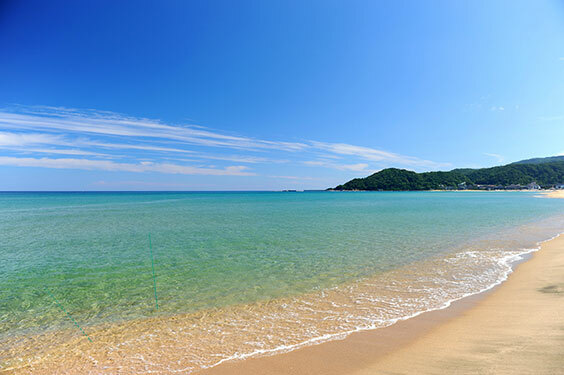 The beauty of Yuhigaura coast is truly exceptional. 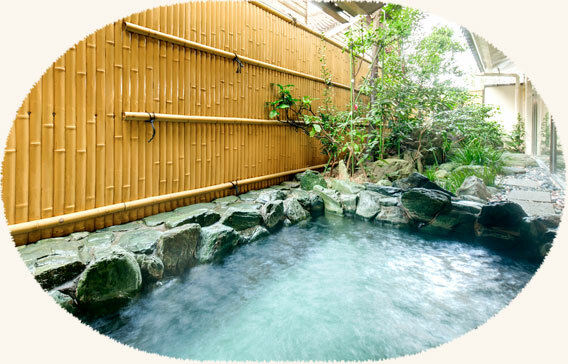 Bijin, meaning beauty, and Yu meaning hot spring, is a hot spring famous for the beautifying properties of its hot spring waters that reputedly leaves your skin feeling smooth and silky. 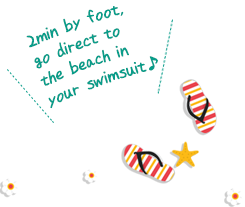 Feel the sea breeze brush over you while you soak and relax in the open-air bath. You will be left feeling relaxed through to your core. 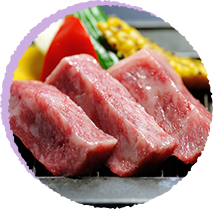 Celebrate your anniversary or special day at Kaisyu. 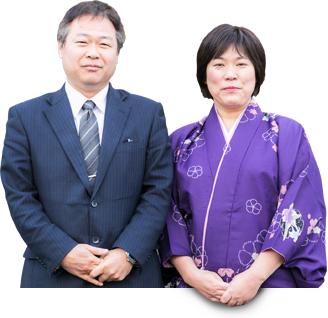 Weather it is a wedding anniversary or just so to celebrate your parents or grandparents, we at Kaisyu would like help you celebrate this joyous day. Please contact us to help plan your perfect surprise celebration. Bold seafood and ocean view of all the rooms. Copyright © 2016 KAISYU.All Rights Reserved.